So much is changing in the world of healthcare these days, it can be hard to keep up with new and expanded roles. One such role is that of a chief medical information officer (CMIO). Although this is a relatively new job in the healthcare industry, it’s becoming a highly important one, especially since the government has begun its efforts to establish a national record-keeping system for health records. A chief medical information officer, sometimes called an “informatics” officer or director, is a healthcare executive who is responsible for a healthcare organization’s design, implementation and use of technology. On the ladder of responsibility, he or she would generally report to a high-tier executive such as a chief executive officer (CEO) or a chief medical officer (CMO) or chief information officer (CIO) depending on the executive levels of a given organization. The fact that the words “medical” and “information” are both part of a CMIO’s title helps to clarify that the executive generally has expertise in both areas. 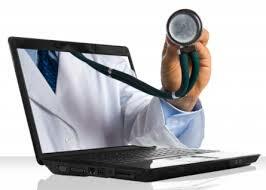 Usually a CMIO is a practicing medical doctor who has been trained in information technology. As the role of the CMIO is still being shaped, about three-quarters of doctors in the position, according to a recent survey, still see patients part-time. Medical doctors can sometimes earn graduate certificates in health informatics to prepare them for their IT responsibilities. Because the role of the CMIO has only begun to be defined over the past twenty years or so, there is still much variance in duties across organizations. Yet, there are a number of things that most chief medical information officers do, including evaluating information technology systems, applying and designing medical record-keeping software, analyzing medical data particularly to improve healthcare delivery and training other doctors and healthcare workers in how to use information technology in the workplace. As more healthcare organizations get on board with information technology and convert their record-keeping to standardized electronic methods, the role of the CMIO seems to be shifting from that initial implementation phase to a deeper role of using the information gathered to help support an organization’s overall mission and strategy. This job area has expanded so quickly recently that precise statistics on job growth are not available. But the Bureau of Labor Statistics surmises that job growth should be pretty strong in the foreseeable future, based on the job growth rates for similar jobs like for health information technicians and health services managers. Although salaries also vary greatly depending on the size of the organization, the fact that this is an executive level position means that salaries tend to be high. Although the role of the CMIO is still maturing, no one seems to doubt the importance of the role in today’s healthcare industry. As electronic records become more important, both in maintaining data and providing a base for strategizing, there will likely continue to be a need for a competent and compassionate chief medical information officer to step forward in the role of expert.